I guess all of us know Paul the Octopus, the mollusk whose reputation skyrocketed during the 2010 World Cup. He successfully predicted the outcome of Germany's seven matches, and also the final. 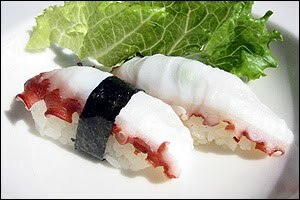 The octopus is a cephalopod mollusc in the order Octopoda. 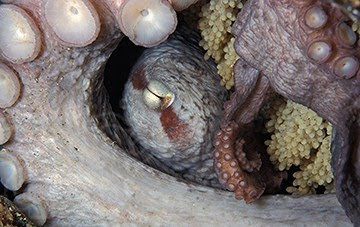 The largest member of the octopus family includes the Giant Squid(or I normally call them Architeuthis) and the North Pacific Giant Octopus. 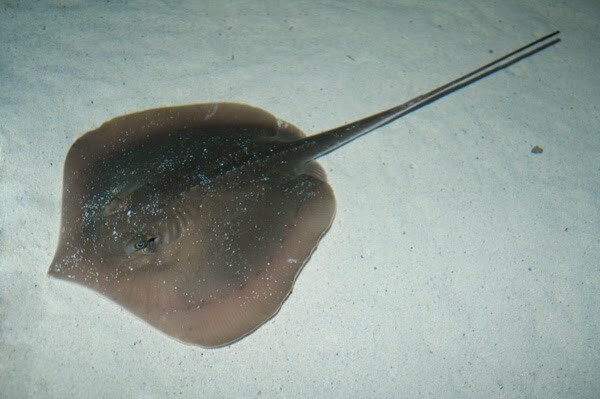 As an invertebrate, an octopus has no skeleton, and so it is capable of squeezing through tight cracks, as long as their hard beak could fit through the opening. All octopuses are venomous, but only the small blue-ringed octopuses are known to be deadly to humans. In laboratory experiments, octopuses can be readily trained to distinguish between different shapes and patterns. 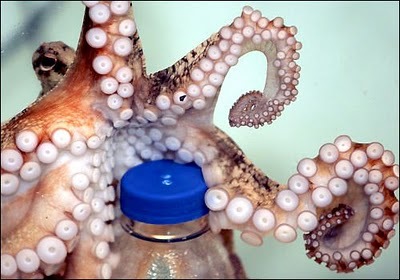 Octopuses have also been observed in what some have described as play: repeatedly releasing bottles or toys into a circular current in their aquariums and then catching them. 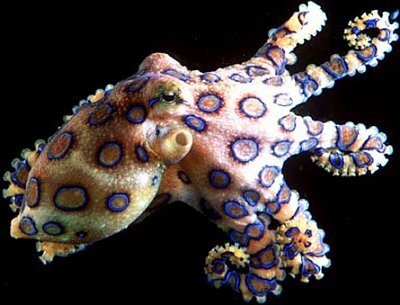 Some octopus could change their color according to their mood; black when provoked and white when frightened(just like their cousin the cuttlefish and squid). 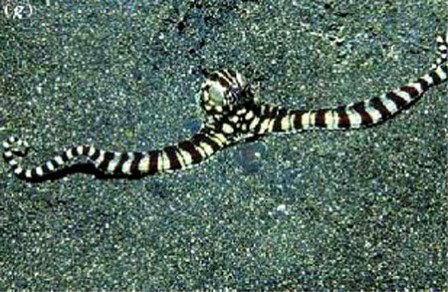 They have highly complex nervous system, and some are so cute they collect shells as they travel to be used as protection. Other forms of protection include shooting dark ink at the predator. 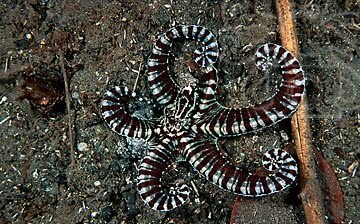 The most impressive of them all is the Mimic Octopus. 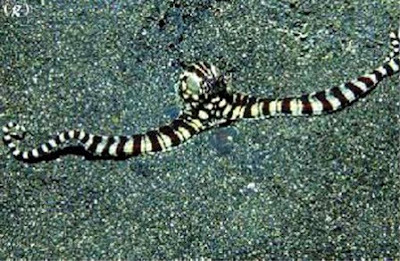 This little creature, as its name suggests, mimics dangerous sea creature such as the lionfish, sea snake, and flounder to scare off predators. 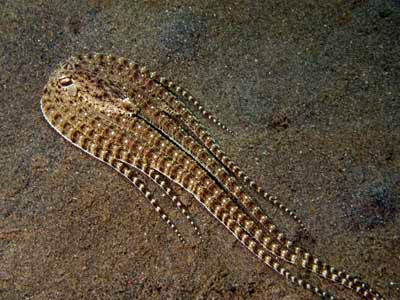 The first time I saw it on National Geographic Channel I was sooooooo~~ impressed by this animal whose brain is by far the most advance brain I have ever encountered in the animal kingdom. 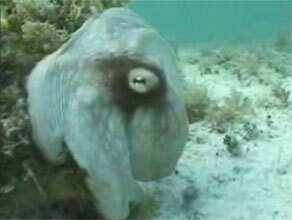 An octopus has a fairly short lifetime, and some species live for as little as six months. 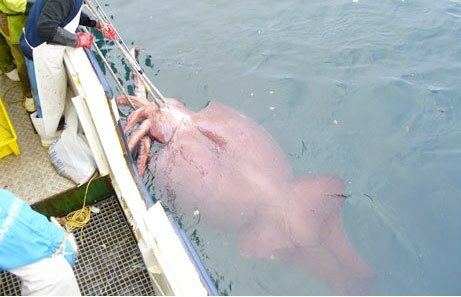 Larger species, such as the North Pacific Giant Octopus, may live for up to five years under suitable circumstances. 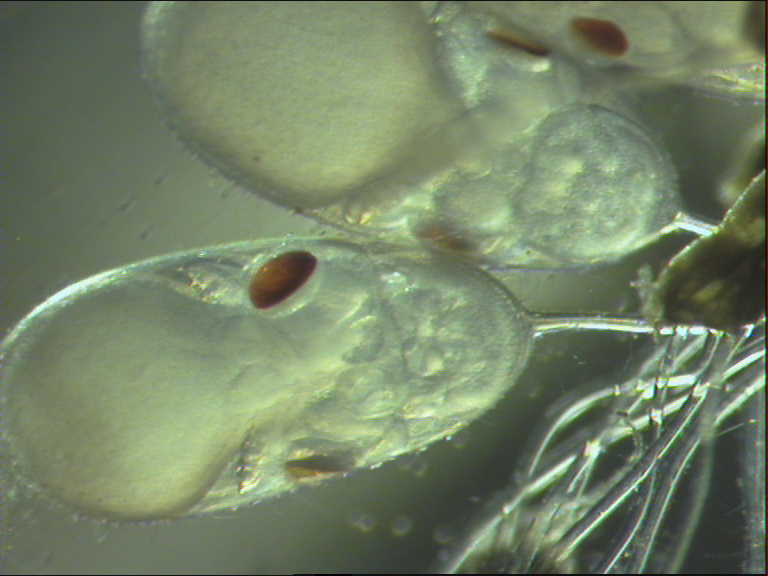 Ironically, reproduction is a cause of death: males can only live for a few months after mating, and females die shortly after their eggs hatch. They neglect to eat during the period spent taking care of their unhatched eggs, but starvation is not the cause of death; endocrine secretions from the two optic glands are the cause of this genetically programmed death. 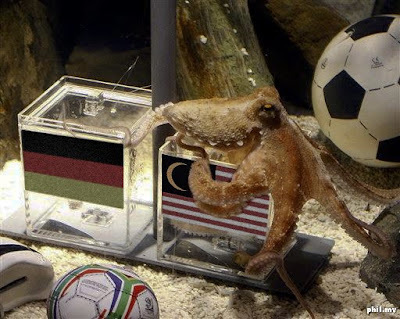 That's why you won't see Paul the Octopus in the next World Cup. Their short lifespan ultimately restricts the amount of learning they could achieve, and that's probably why we conquered the Earth, not them. Some people keep octopuses as pets. 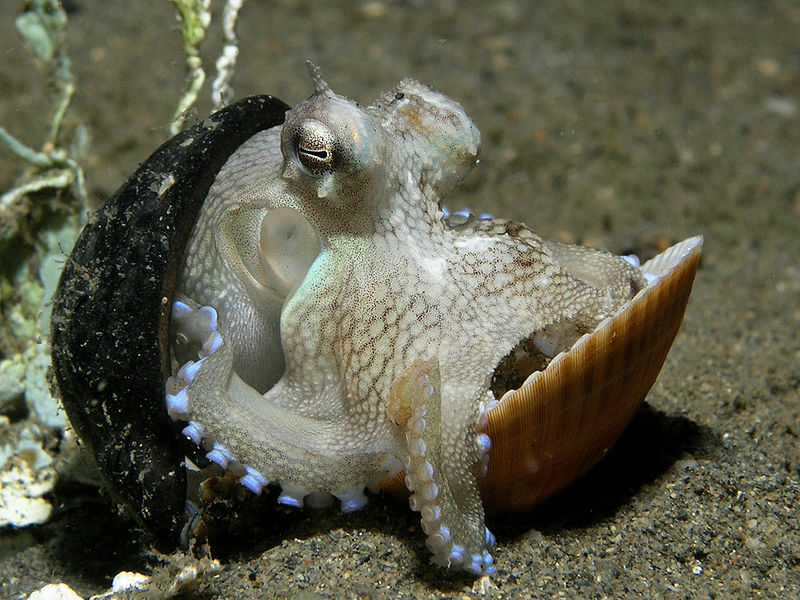 Octopuses often escape even from supposedly secure tanks, due to their problem-solving skills, mobility and lack of rigid structure. 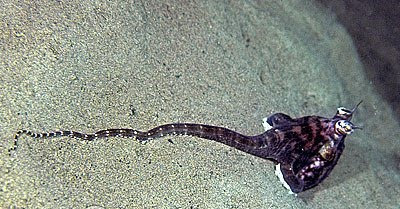 Octopuses are also quite strong for their size. Octopuses kept as pets have been known to open the covers of their aquariums. And this blog just had a massive traffic explosion thanks to xkcd. 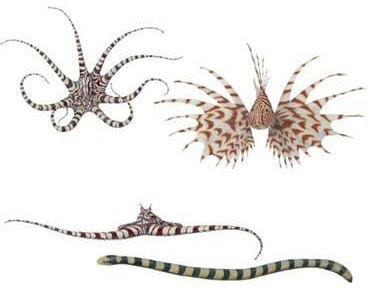 All of us are like what the heck is a mimic octopus. Thanks for the pictures. I didn't know about this Colossal Squids. then I Google it. Woow.. they are so big.